This article looks at how to setup a local Maven repository, along with the functionality a local Maven repository server should provide. Criteria for choosing a private, local Maven repository are listed, along with Maven tutorials on how to setup Artifactory and Nexus. Maven is an extremely popular Java build tool for a variety of reasons. As such, it is no wonder that developers and organizations are looking at setting up local Maven repositories to compliment the remote ones that are publicly accessible. The Maven repository is an important tool for any organization interested in having a successful DevOps transition. One of the benefits of Maven is that it helps to reduce the duplication of dependent software libraries and JAR files required to build a Java application. The Maven approach to artifact management is to store all built software libraries in an area of storage called a repository. Commonly used frameworks like Spring Boot and popular add-ons such as the Docker plugin, Kubernetes utilities and continuous code quality tools such as Checkstyle are hosted in public repos. For private and secure artifact management, organizations need to setup a local Maven repository such as JFrog's Artifactory or Sonatype Nexus to compliment the public repo. One of the reasons organizations will setup a local Maven repository is because a public repository can be slow, unreliable and does not always have the latest versions of required JARs and libraries. Libraries private to the organization cannot be uploaded there either. By setting up a local Maven repository server for artifact hosting, an organization can avail itself of the benefits of a local Maven repository and bypass some of the shortcomings of synchronizing with Maven central. 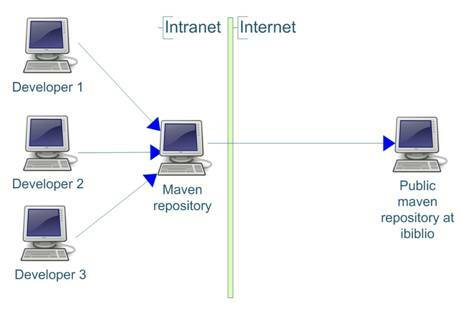 This article looks at some of the functionality that a Maven repository server should provide. Criteria for choosing a Maven repository are listed. 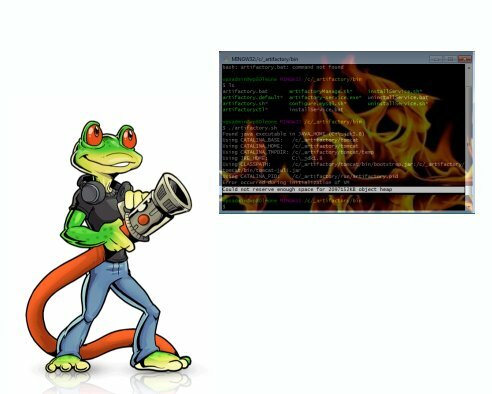 Steps involved in how to setup a local Maven repository using the JFrog Artifactory are explained. The process of setting up the local Maven repository is same for both Linux and Windows and the minor differences are highlighted. Examples of Maven POM files which use this repository are shown. The article is illustrated with screenshots to guide the user in setting up a repository. Sample Maven and Artifactory configuration is also shown. A link ton how to setup a local Maven repository with the Nexus Maven repository can be found below. This tutorial on setting up a local Maven repository was written over 10 years ago, in June of 2007 to be exact, and while the overview of open source Maven repositories remains completely on point, the version of JFrog Artifactory that is installed here is a bit outdated. 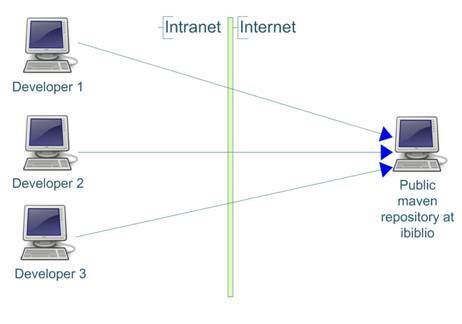 Public remote external repository – This is the public external repository. By default, Maven synchronizes with this repository. Provide a Maven repository browser – preferably web browser rather than desktop application. Following review of all products, Artifactory has all the criteria that we are looking for. Proximity Maven repository also seems to have most of the features we are looking for. We will look at implementing the Maven repository using Artifactory. Runs on JDK 1.6 and Tomcat 6. Artifactory is deployed as a ‘war’ file in Tomcat. Compliant with Java Content Repository standard (JSR-170). Data – Has derby database files. Everything in this folder can be deleted if you wish to start with a clean repository. In a new installation of artifactory, this folder is empty. Webapps – has the ‘war’ file. This can be copied and installed in tomcat. Deploy the ‘war’ file in ‘<ARTIFACTORY_INSTALLATION_FOLDER>/webapp’ to ‘<TOMCAT_INSTALLATION_FOLDER>/webapps’. No tomcat configuration changes are required with jdk1.6 and Tomcat 6. 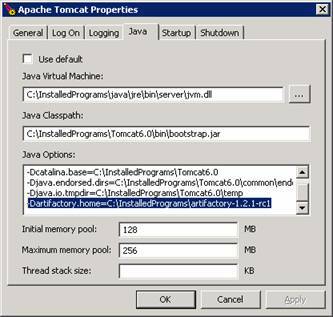 Tomcat 6 should detect the web application and deploy it. A single configuration is used to specify all 3. We only have to specify the location of the location of the artifactory installation folder during Tomcat startup and artifactory will be able to work out the rest. An alternative to this approach would have been to setup connection to the derby database using jdbc and to configure artifactory in the web application(by including artifactory.config.xml in the web application). However, this approach is simpler. Private-internal-repository: This repository contains artifacts which are used only within the organization. These are manually uploaded by the developer. This does not synchronize with remote repository with ibiblio as the artifacts in this repository(or sub-repository) are private to the organization. Ibiblio-cache: This repository is synchronized with ibiblio repository and is a cache of the artifacts from ibiblio. Start Tomcat and navigate to http://localhost:8080/artifactory. Newer versions run on port 8081. Sign in using username ‘admin’ and password ‘password’. Click on the Browse repository link and you should be able to view the contents of the repository. Login to the new repository using your web browser and you will see that artifactory has downloaded and cached the artifacts from ibiblio. Artifacts can be installed using the web UI or using Maven command line. Installation using the web UI is simple and faster and does not require any configuration changes. Installation using the command line requires configuration changes in settings.xml and the it can be used in other scripts. Artifactory will create the pom file if you are uploading a jar file. You can also specify which repository to upload to. Once uploaded, the artifact appears in the repository along with the ‘pom’ file created by artifactory. The repository id should match the server id defined in the settings.xml. The url should include the name of the repository theartifactis to be installed in. The new artifact appears in the repository and artifactory has created the ‘pom’ file for us automatically. Backups are stored in ‘<ARTIFACTORY_INSTALLATION_FOLDER>/backups’. The backups are in the same format as the local repository on developers machine. This makes it very easy to migrate the repository contents to another implementation of Maven repository. An internal private local Maven repository speeds up the build process and makes it easier to do clean builds. It also helps to avoid conflicts due to different versions of libraries. Amongst the 4 common local Maven repositories available, JFrog Artifactory seems to be the better product. Artifactory makes it easy to setup a local Maven repository server. It provides all the features which a good Maven repository should implement. The organization will not be locked into this tool as it is easy to migrate the repository contents to another implementation. A web UI makes the repository easy to use even for people who don’t know how the repository works. 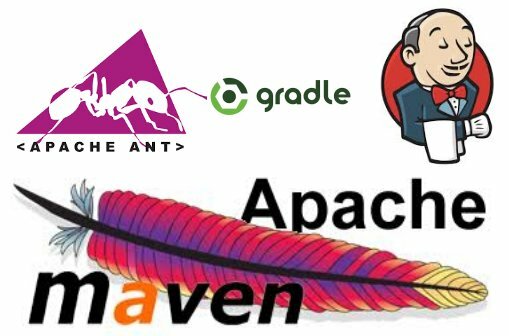 Which Java build tool do you prefer when working with SonarQube, Maven or Gradle?